how do i add a relay to my current HID low beam setup, i dident do anything special when i installed just plugged and play. also how would i make it so my fogs stay on with my highbeams too? Early morning bumpage? Anyone have any pics of the actual wiring? On the 4 pin relay this is basically how it goes. Ground pin get grounded, positive pin get wired to the fuse post, the signal pin get tapped into the highbeam wire, and the lamp pin get tapped into your low beam wire. hmm ok, i thought you did it just for "looks"
I dont even use a ballast for my projectors, how would i go about doing this? are there any good pics of where to tap the wires into. all the posts in here confuse the **** outta me. 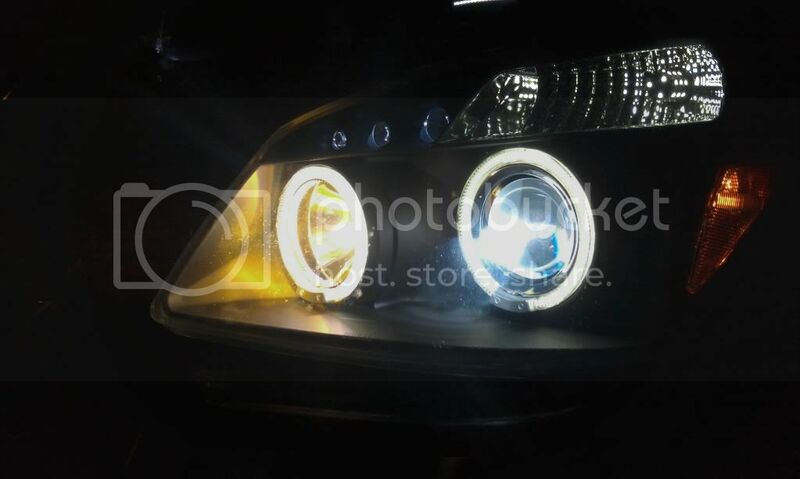 I don't have these type of headlights yet but i would like to grab a set soon with dual hids....high and low. I'm in the same boat as slvrred-, I can read diagrams sometimes but the color cordination in the first post doesnt tell me which pin is which number, and that is how they are identified on my diagram that came with my relay. just so im sure.. these are the pinouts as described in the diagram correct? Last edited by fullmetal289; 12-19-2012 at 01:49 AM. A diode from the factory low beam relay to high beam relay in the fuse box is the easiest way. Works very well. All it does is trigger the low beams to turn on with the high beams by signaling the low beam relay. Doesn't put any extra load on the factory wiring as far as I know. I found a how to on a different cobalt forum for wiring the diode. Gives exact directions and shows what pins to use. I soldered mine in about 3 weeks ago, I'm running High and low beam HID's with gen 4 projectors. Please help!!! This is seriously irritating me! I can't get this to work for me! When I hooked my hid kit up, I just did the plug and play and did not use a relay. So I bought the relay from radio shack. 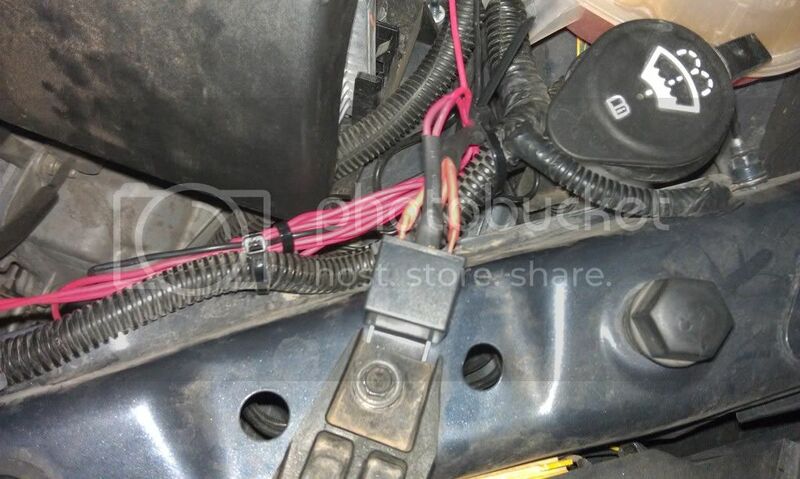 Spliced into the high and low beam on the passenger side, connected that with the high and low beams on the driver side, then the high beam (red wires) into the on/off trigger pin of the relay. The low beam (blue wires)into the 12v out of the relay. The 12v pin to a inline 20 amp to the + battery terminal under fuse box. And the ground pin to a ground. 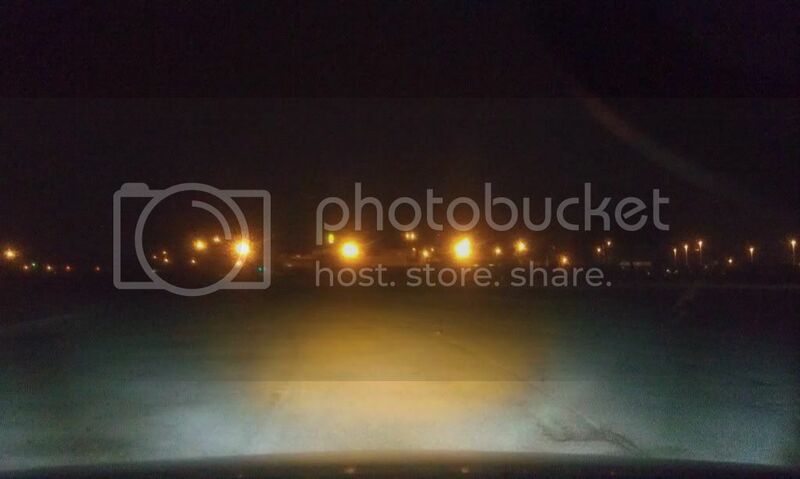 When I try to do high and low beam,it is just random lights that will stay on and turn off. Some times they will all be on, sometimes just high and low on one side, sometimes all of them off. Did I do something wrong? Should I do something different? Really would appreciate some help!!! I know this is an old thread but I thought I'd share in hopes to help someone else. When I bought my car the headlights were awful. I researched a ton & settled on buying a pair of Depo projector headlights off ebay vs buying or building retros. I got them with the HID option. After several attempts at headlights I ended up with a nice set of HIDs from HID Direct in the UK & Osram Rallye H7 high beams. 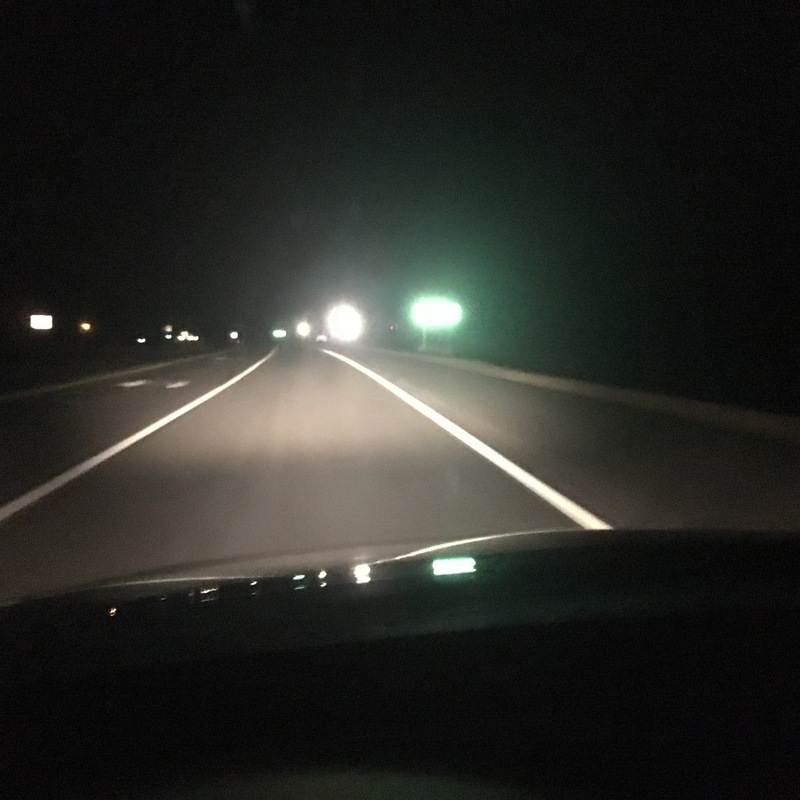 The high beams are badass but no matter what HIDs I put in the low beams I've struggled with the issue of having almost no headlight when going from high to low because of the HIDs having to start up. I tried replacing them with various LEDs since they're instant but the light output is awful. I did a bunch more research about wiring to keep the low beams on when switching to the high beams. This relay wiring is NOT ideal. So... here is what I did & it works PERFECTLY. 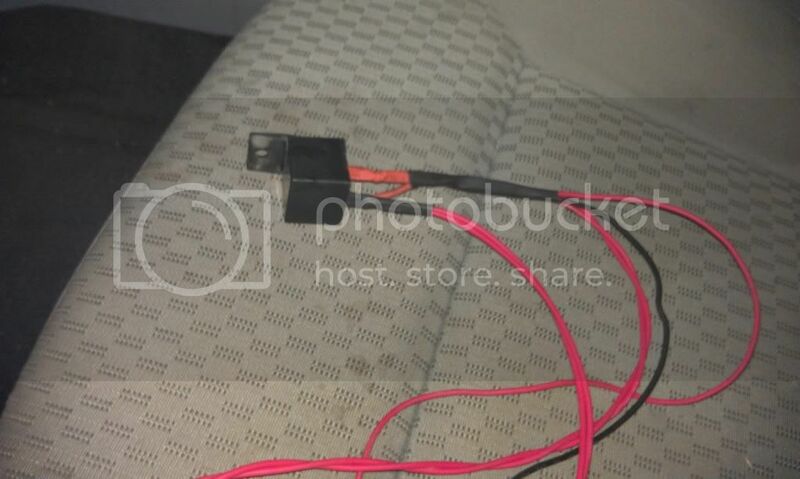 I already had a relay harness wired in for the HIDs. This wiring will only work if you do. What you want to do is have 12v going from the output of the high beam to the switched part of the relay powering the HIDs. Solder inline a diode on the switched wire for the relay harness. I cut in where the relay harness plugs into the HID bulb on the driver side. The white band on the diode should go toward the relay. Then solder in another diode to the banded end of that diode so that both diode's bands are facing the same way. Solder the other end of that diode to the output of the high beam. I cut into the dark green wire on the factory harness. Now solder in the positive lead of a 4700 microfarad capacitor of at least 20V after the diode that's inline on the low beam wire. Now ground that capacitor. I tried with & without the capacitor. Without it my HIDs flickered. Turning on & off wears out HID bulbs prematurely. The capacitor holds enough charge that they don't flicker. If I can get time I'll draw up a schematic if asked. But I hope I explained this easily enough. I would've written which color wire on the harness for the HID relay to solder in the diode but I can't remember the color lol. I believe it was white. It's the single 2 wire connector from the HID bulb. This all could also be accomplished on the factory headlight relays except they're surface mount inside the fuse panel. I didn't want to take the fuse panel apart as my car is driven daily & I really didn't want to permanently alter the car more than needed. At this point if I wanted to take it back to stock all I would have to do is cut out where I soldered the diode on the factory harness & fix that wire with a little solder & heatshrink. The worst part of this wiring mod is figuring out how to heatshrink all the connections. But once you start it kinda becomes obvious. I just used a multipack of heatshrink I got cheap at Harbor Freight. I run depo headlights with an onex hid kit in my dims. I wired it exactly as speedlimit had it and my dims never shut off. Light output is awesome with just halogen bulbs on the brights. I have ran it this way for several years without issue. Really? I never tried it like he described because during my researching other people complained about HID flickering. But I also saw no point in adding even another relay since I had a relay harness already installed to run the HIDs. 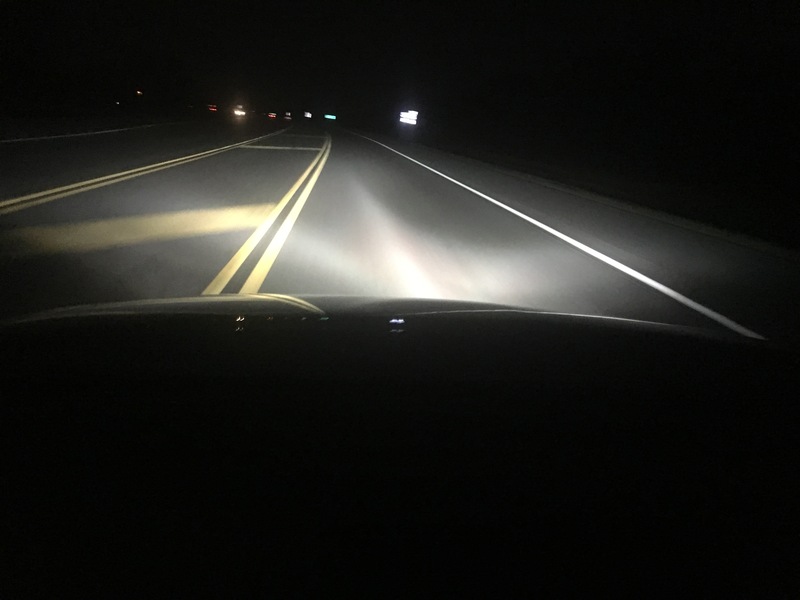 What Halogen are you using on your high beams? Just curious. I put in Osram Rallye H7s & they're crazy bright. But they've discontinued them & they're near impossible to get now once they're burnt out. I think they are sylvania zxe or they may be the silver star ultra. Having the projector lows and high beams on at the same time, is crazy bright. Almost like it's daytime. When I go back to dims they never flicker. Right on. Just another way to do it then. I dunno which way is simpler. I had the diodes & capacitors so I guess that way was easiest for me lol. Yeah same here. My high beams were already bright enough that some larger signs on a dark road would damn near blind me. Having the low beams on too is like daylight. It's pretty friggin cool. But eventually I'll be trying to find replacement high beam bulbs. I'll look into those. There's a site called candlepower that's claiming this new brand Vostra makes the next best replacement for the Osram Rallyes but I have my doubts. And all the Osrams on ebay now are counterfeit crap claiming 80 watts. Like you, mine are almost too bright. When these go out I will probably just run silverstar ultras. Here's a pic I took of just my high beams before I did this mod to have the low beams on with them. Second pic is after the conversion with all 4 on.